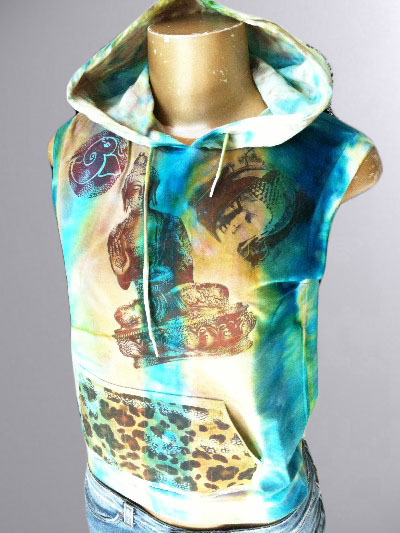 One of a kind vintage wash fine cotton sleeveless hoody with cheetah print pockets, Buddha sculptures and various eastern tributes. Be sure to enter the dye color choices you would like us to hand dye in a similar fashion as seen above. Kids, Babies, Mens & K9s are made of high quality vintage soft thin fleece material.